I know, I normally post cards here on the blog, but I also love to scrapbook as well. Not only is it a fun way to get some of my favorite photos off the camera or computer and somewhere where I’m more likely to see them, but it is also a great way to use some of your favorite papers and elements you have lying around your craft room. For today, I have another idea for both a card and a scrapbook using the Winter Wonderland Specialty paper for non-holiday projects. First up, my favorite – the scrapbook layout! See! 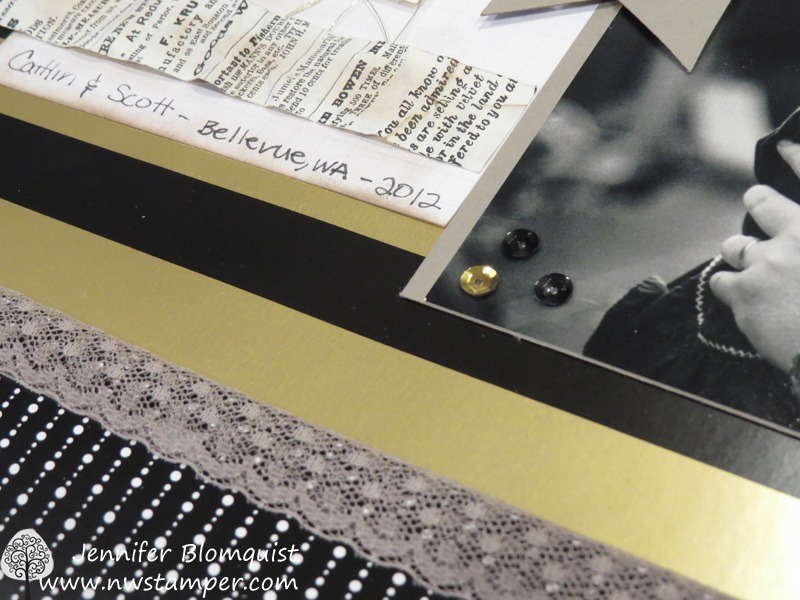 This paper pack is such an awesome black & White & Gold theme, that you can use it for just about any project. I had some black & white photos from when Caitlin was a baby that I thought would go perfectly with this paper pack – and make it easy for me to have fun with the other random stamps and elements I had around my craft room, that I could just have fun and play with pulling this all together. The only thing was that this paper is a bit glossy, so it was hard to take a picture that wasn’t too shiny. 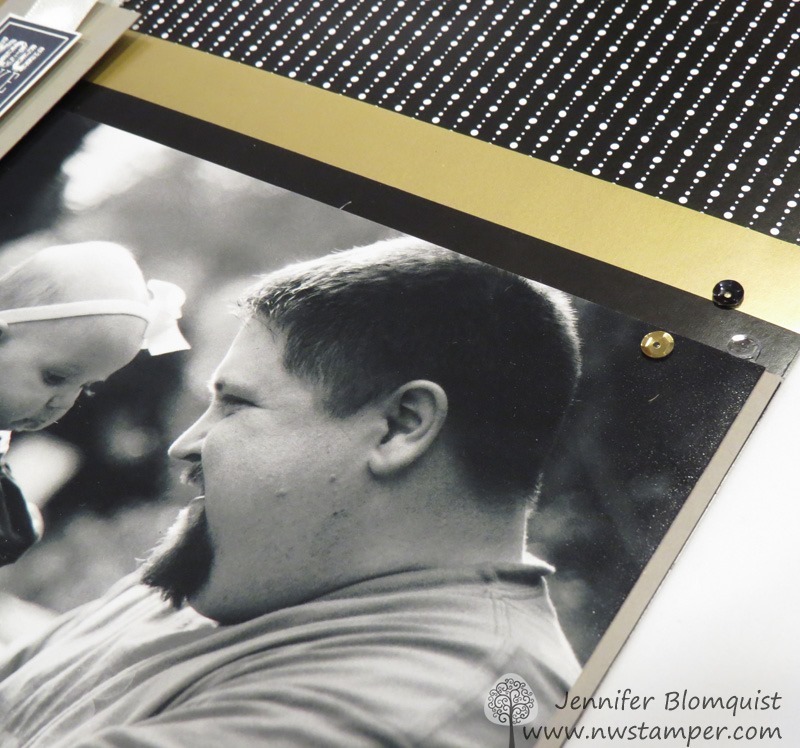 One of the first things I did was layer some of the Black & Gold stripe pattern over the black & white dots paper. I let the Gold frame my photo and decided to keep the rest of the layout simple and stick to neutrals for my color palate. Thankfully the Tip Top Taupe ribbon was just a perfect touch of neutral AND delicateness to balance all the bold feelings of the gold. Then I added some Metallic Sequins to the corners of my photo to pull in the metallic and shine from the paper subtly into the photo area and framing even more two of my favorite people in the picture. Once the photo was in, I started playing with other elements for my page. I started with one of the Project Life Grid Cards to use as a base for my journaling area, but sponged the edges in Crumb Cake to “dirty” it up and go for more of the vintage look. I did a similar trick for the strip of newsprint by grabbing a scrap of Typeset designer paper and crumpling it up. Then I used my sponge dauber to add some crumb cake in to the crumpled paper so it wasn’t so stark and new either. Then I looped some Gold Thread behind my strip of paper to fill in some of the grid card space. To finish up my title, I used my Alphabet Rotary Stamp to stamp the Daddy’s Love and then just cut around the words with my snips. I just plopped them down over the thread with some dimensionals… and done! Then I moved on to adding some more elements, from some hearts punched using the Itty Bitty Accents Punch pack on a Circle from the retired Wooden Elements, to some layered banners with Satin Ribbon and the sentiment from the Amazing Birthday stamp set. It actually came together very quickly and was fun to play and mix and match all my elements from my craft table. See, the white and gold make really pretty backgrounds for your everyday cards too! 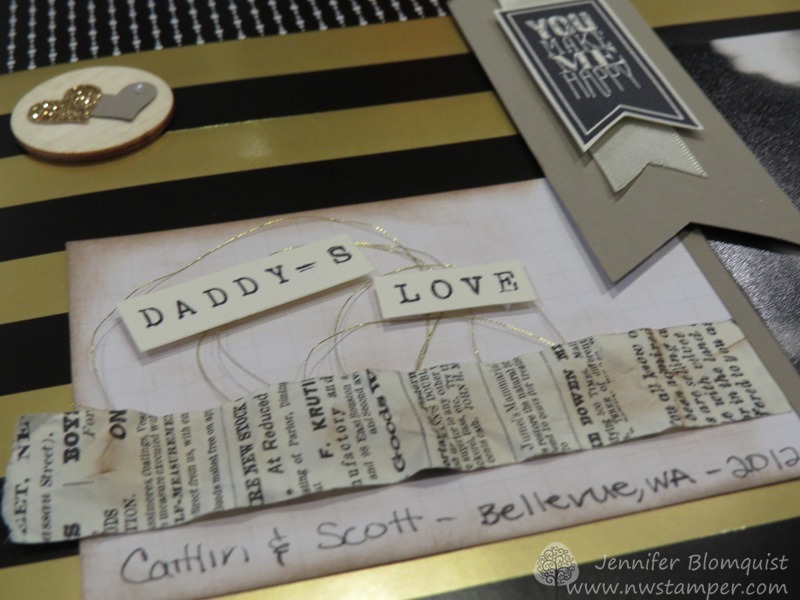 The corrugated cardstock makes great elements pieces. Like in this case, I cut a 2” strip and then just used my Scalloped Tag Topper punch to make the cute end and voila! A perfect background piece! Use the precision plate when cutting out your words from the Greetings Thinlit, especially when you are using the gold foil paper… you won’t get the polka dots from the die showing through on your word! 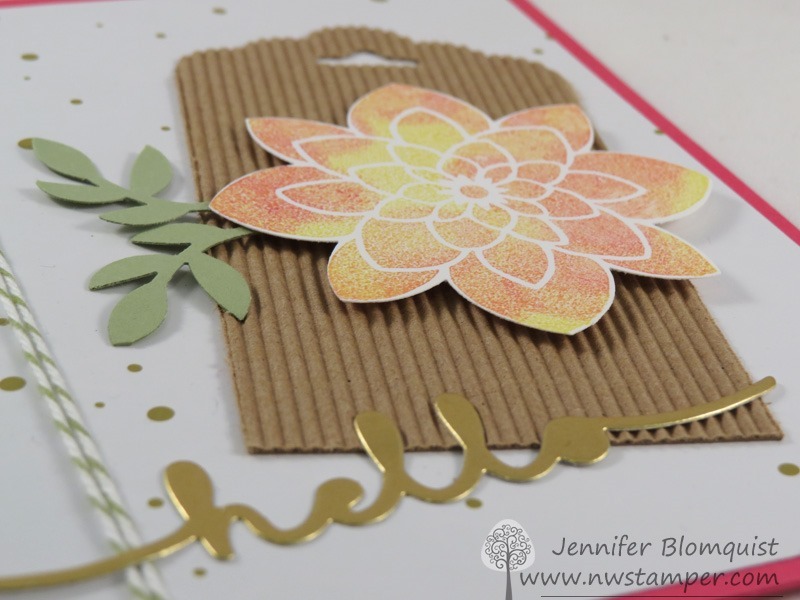 Use the bird builder punch to create some easy leaves to come out from behind your flower. Easy, peasy, done! When stamping the flower, get a cool mottled tie-dyed look by inking up your stamp with Daffodil Delight ink. 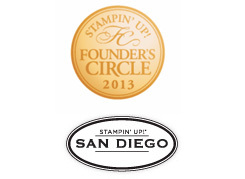 Get it nice and covered – but don’t stamp it yet! 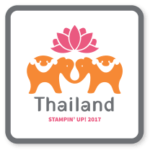 Then grab your Melon Mambo ink and add some color by daubing the pink into onto the inked stamp using a sponge dauber. 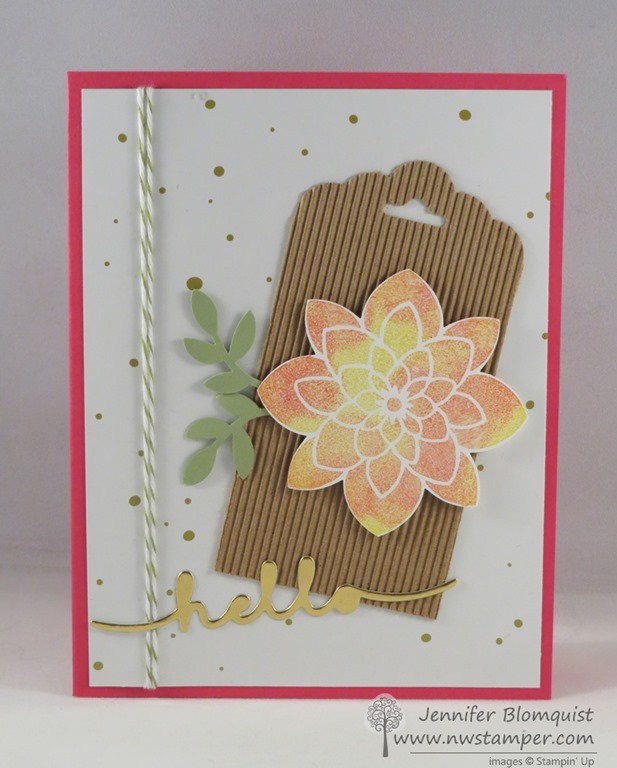 Finish it off with a bit of baker’s twine for a cool pulled together card. So, I hope these gave you more ideas! Don’t Forget! 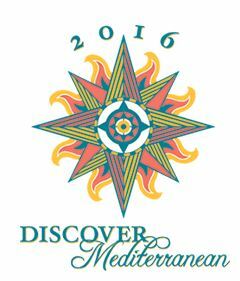 The Holiday Catalog items retire TOMORROW (1/4)! Some items have already sold out, so make sure to check the list for your favorites along with the Year-End Sale that ends tomorrow as well!